With the advancement in the Web Development Services, the adaptability of online space is also growing. And, of course, to gain the competitive edge over the online business, web developers requires to build a rich application, that extensively confounded to regime digital realm. The expansion of the internet doors in scope to execute things uniquely and even in a more efficient approach. What is the Need of the Hour? Smart Web Development! The customer's expectation has reached a far beyond level and requires extra effort. So you can't ignore your customer, as it's not as simple as it used to be. The trends have changed, and so as the expectation of the customer. Lagging behind to adopt the changes can make your customer lose their interest in your brand and chances are more to migrate over the updated brand. This has aroused the need to understand and know the latest trend pertaining to the web development framework, which will help brands to walk ahead of the changing trend along with the turnover constantly soaring. Popularly known for back-end E-commerce Website Development tool - this open-source PHP based framework is best option to build the best quality application. Laravel offers a system that possesses a dedicated dependency manager, has an orientation towards syntactic sugar, and aids in application maintenance and deployment. Laravel is convenient, yet important, and provide powerful tools needed for large, robust applications. A magnificent inversion of control container, expressive migration system, and tightly integrated unit testing support present the tools required to build an application. All of this makes Laravel the best PHP based framework and is considered important in terms of creating an e-commerce website. Must Read: Benefits Of Hiring Professional Ecommerce Web Design & Development Company! This frameworks is quite favorite among web developers - Ruby is a easy, fun and enjoyable programming language. It keeps developers happy at work. Some of the big brands who have developed their websites with RoR includes Hulu, Airbnb, Basecamp. RoR has been completely free of cost, since 2005, and runs on Linux - an open-source. It’s also easy and joyful to work with from a developer’s perspective. Furthermore, this framework provides move from the planning stages to actual development very fast. Further, it provides ease to handle in comparison to other advanced technologies. Hence, RoR can be acknowledged as a useful framework for web development project. This PHP based framework is designed exclusively for complex level projects. In general, Symfony is quite a stable framework that helps developers to create websites allows frequent change as per business requirements. It is a dynamic framework and adheres flexibility to websites. It consists of a set of PHP components, and an application framework, a community. All of it works in tandem to help websites reach purpose ideally. These frameworks are popular and can benefit to boost your complete web application development project, increasing the speed and efficiency at the same time. Time and efficiency are quite necessary for the Web Application Development Company. 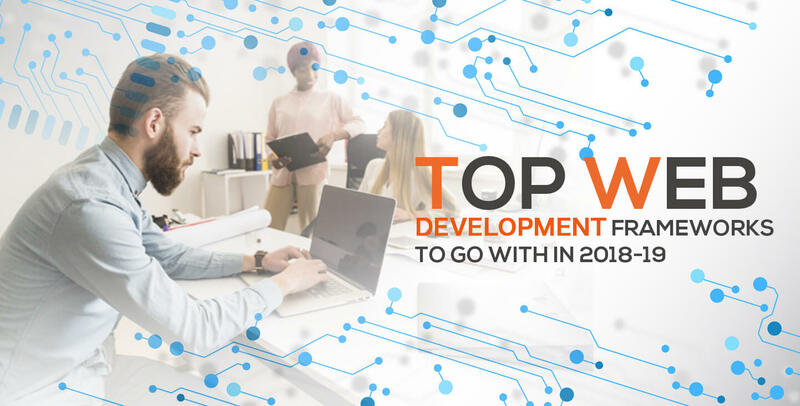 Therefore, finding developers who excel in these frameworks must be the first preference while going for the development process for your next project.